Thank you to Zoey's Attic for providing me with product, free of charge, in exchange for my honest review. All thoughts and opinions shared are my own. Are you looking for a place to get some personalized clothing from? Look no further! I have some adorable holiday pieces to show you, and I think you're going to fall in love with these adorable personalized apparel pieces like I have. 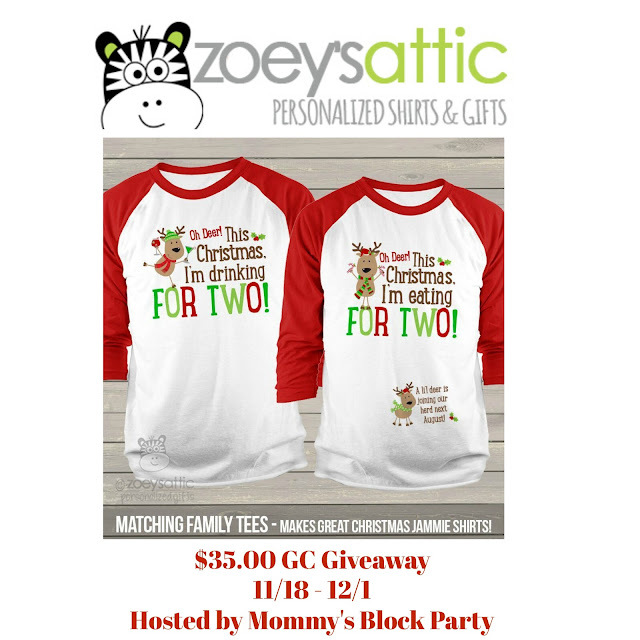 With Christmas just right around the corner, I wanted to see about getting our younger two children something personalized that they are able to wear, and was excited when I found out I'd be able to partner with the wonderful Zoey's Personalized Gifts on three different clothing items, as part of Mommy's Block Party's holiday gift guide! Their website has SO many different clothing items and other products to choose from, to personalize. I love that they have a section for expecting mothers, babies, toddlers, family sets, and so much more! The clothing items that I chose are for our younger two children who are 2 1/2 (son) and almost 8 months old (daughter). 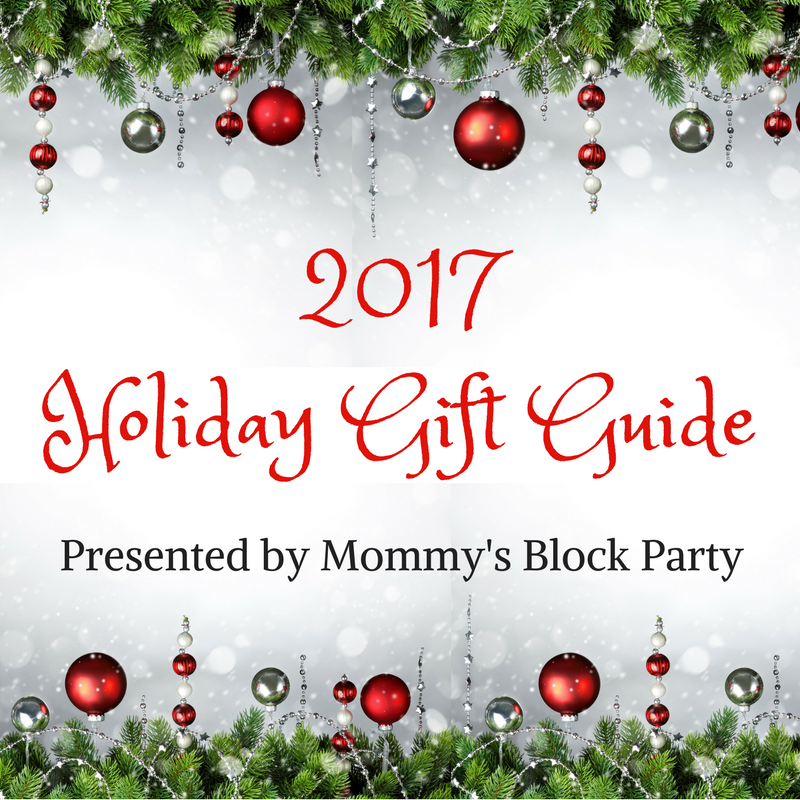 I fell in love with their Christmas clothing, so I chose these three to be part of the holiday gift guide, here on Mommy's Block Party. Our toddler son is so photogenic and loves to have his picture taken. He was excited when I opened the package with our goodies inside! He always loves to know what I get him in the mail! 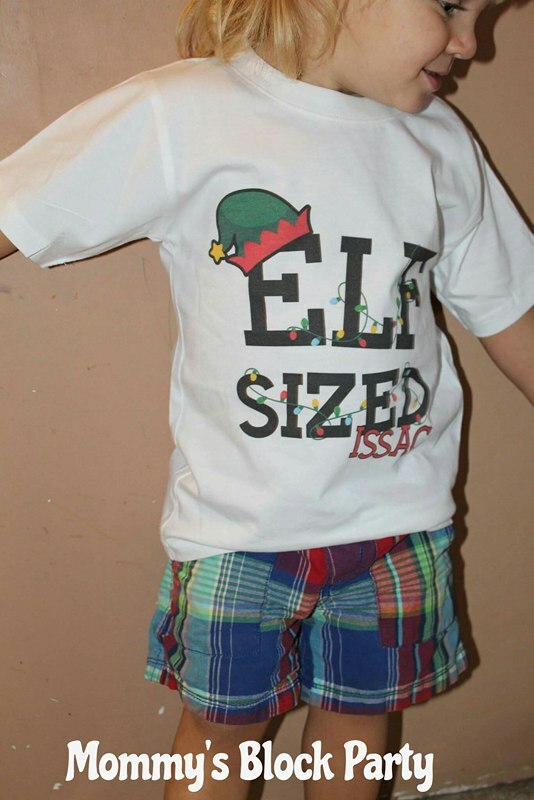 I received the Elf Sized Christmas T-shirt for him, and you can purchase this in a bodysuit or t-shirt for just $16.50 on their website! I got him the size 4 since he's been growing a lot lately and 3T is starting to get too tight on him. This shirt fits him perfectly and leaves growing room to spare as well. He received one more shirt which I absolutely love how the color blends in with the flow of the design in the shirt. Gray is a great color for shirts and I'm glad I got it for him for this style. 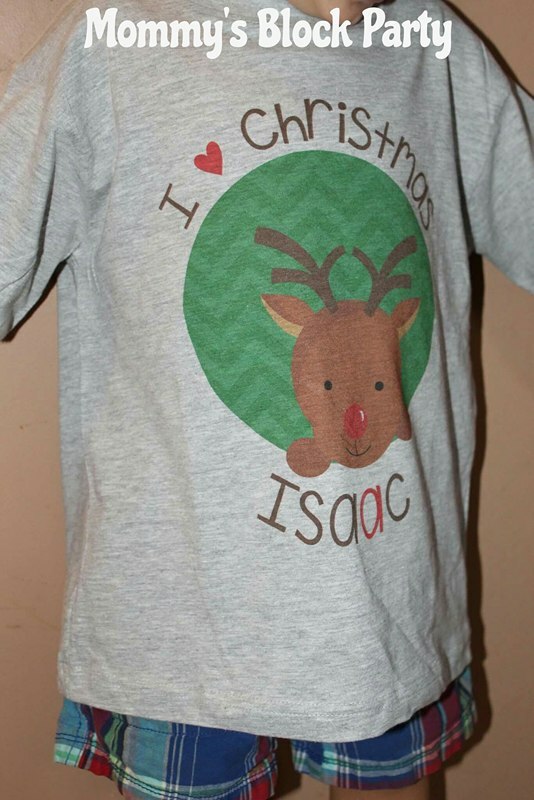 I received the Christmas Shirt Red Nosed Reindeer T-shirt for him and got this in a size 4 also, and it fits him perfectly with some growing room to spare. This one is a t-shirt and has several colors to choose from. You can purchase this one on their website for just $16.50! Our daughter is almost 8 months old, but she is already in a 12 month size when it comes to onesies so I received this adorable First Christmas Bow Snowflake Bodysuit for her and just love it. It fits on her just fine and is a little big for extra growing room to spare. I got the long sleeve white bodysuit. You can purchase this on their website for just $16.50! 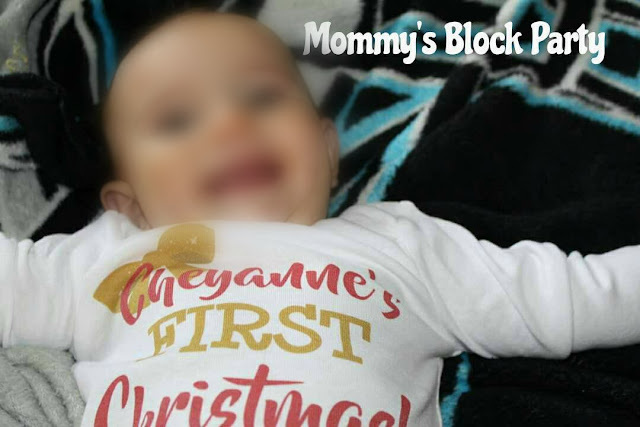 This would make for the perfect outfit for your little one's first Christmas, and the awesome thing is that you'll have his or her first name on it too as a memory! Head on over to Zoey's Personalized Gifts to browse their adorable selection of personalized holiday apparel and personalized holiday gifts! 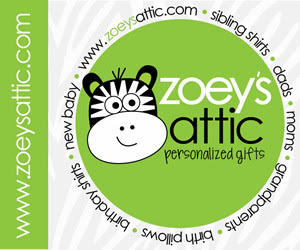 One lucky MBP reader will win a $35.00 Gift Cose to Zoey's Personalized Gifts! Special thanks to Zoey's Attic for allowing me to share about their adorable personalized holiday gifts and for providing a giveaway for our readers. Look for them in our 2017 Holiday Gift Guide. If I won I would put the gc toward A Big Brother Little brother set. Thank you! I like the Big sister baby sister floral wreath with foil or glitter matching sibling set. I'd get the Sweet New Baby Minky Dots Swaddling Receiving Blanket. I also like the Christmas unicorn personalized metal ornament. I also like the Baby's First Christmas all is calm all is bright photo ornament. I think the monster pillow is pretty cute. I am starting the tradition of matching family pajamas for our family this year and am loving your mama/papa/baby bear raglan shirts! I really want to order those for this year!